William (Woody) Woodmansee brings over 30 years of advisory and wealth management experience to his role as President of Commerce Advisors. Woody began his career in the financial services industry in 1987 with Union Planters Investment Bankers Group. In 1990 he joined the First Tennessee Bank Bond Division as Vice President while continuing to advise both high net worth families and institutional clients. In 1992, Woody transitioned his practice to Prudential Securities. He spent the next 8 years serving on the Director’s and Chairman’s council with Prudential. 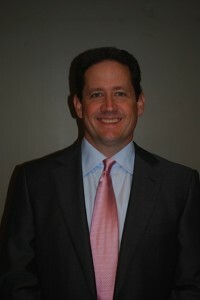 In 2000, Woody formed / established Woodmansee Wealth Management Group of Wachovia Securities advising and consulting to private and institutional clients. The business model focused on customizing asset allocations in accordance with investment and spending policies. Woody was recognized for his outstanding performance and remarkable client service by being named to the Chairman’s Circle of Excellence at Wachovia Securities. In 2009, Woodmansee Wealth Management Group was acquired by Commerce Holdings, LLC. Vince Robinson serves as Chief Executive Officer and co-founder of Commerce Holdings LLC and its subsidiaries, Commerce Advisors, LLC and Commerce Asset Management, LLC. Since 2008, Vince has been responsible for oversight of the firm’s strategy, managing strategic relationships, chairs the executive management committee, engages with clients for service satisfaction, works with lines of business leaders and communicates with stakeholders. 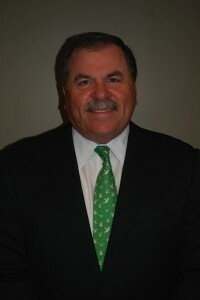 Prior to forming Commerce Holdings LLC, Vince was Memphis office managing partner with PricewaterhouseCoopers LLP and spent 29 years with the firm. He led the firm’s North American Real Estate Investment Trust practice from 1998 until his retirement in June of 2007. Vince was the lead engagement partner on two Global 1000 clients as well as numerous public and private clients including not for profit entities. Kurt Voldeng brings over 27 years of advisory and investment management experience to his roles with Commerce Advisors and Commerce Asset Management. Kurt is currently the Chief Investment Officer of Commerce Asset Management, an advisor for Commerce Advisors, and a shareholder of Commerce Holdings. Kurt manages the investment strategies and day-to-day operations of Commerce Asset Management along with advising clients for Commerce Advisors. Throughout his career, Kurt has been involved in manager research, institutional consulting, and investment management with a particular expertise in alternative investment strategies. Kurt has educated clients on hedge fund investing and advised clients on customized multi-manager hedge fund portfolios ranging in size from $20 million to over $5 billion. Previously, Kurt aided in the discretionary management of multi-manager hedge fund portfolios for other Registered Investment Advisors including managing an account for the New York State Common Retirement Fund with peak assets of $1 billion. Kurt began his career in 1990 with Consulting Services Group, LLC as a financial analyst and accepted an ownership position in the firm in 1999. Prior to joining CSG, Kurt worked with the corporate finance department of Union Planters National Bank (Regions). Kurt graduated with honors with a B.A. 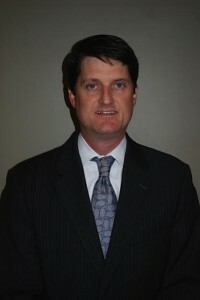 in Finance from the University of Memphis and holds an M.B.A. from the University of Memphis as well. Kurt maintains the Chartered Alternative Investment Analyst designation.